Medical practitioners and hospital management are in utmost need to keep their data organized. Doing this helps them profoundly in managing patient’s medical bills. The powerful and effective medical billing software caters to their billing needs. 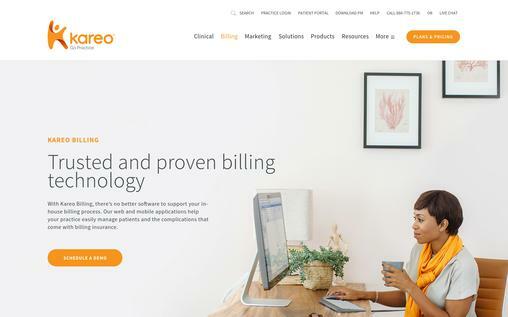 Whether you are a practitioner, a clinic, or a medical billing company, having the right software helps you efficiently in organizing the workflow of your office. With the help of such software’s, you can verify insurance plans and make instant adjustments to the billings. Such tools will also influence rejected, accepted and over-due entitlements within a short amount of time. There are many billing software available in the market today which offer different billing services. 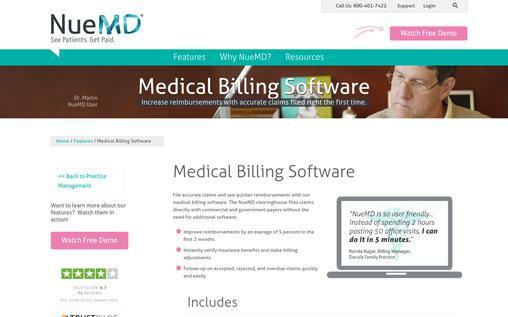 The list below contains the top ten billing software that will help you in managing your medical bills. 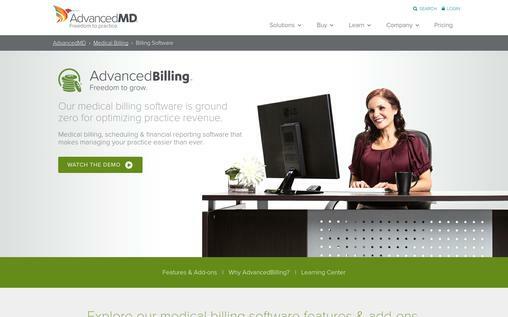 AdvancedMD is ideal for medical billing companies and individual practitioners. It provides multiple services in one platform for easy management. One click management dashboard – You may be having records of many clients. AdvancedMD keeps them in one dashboard where you can access them easily. The dashboard also shows you the details of your business operations. You can select an individual client and see more information as per your convenience. Updated reports – AdvancedMD shows you how your business runs. It brings you compared graphical operations of your past activities. This helps you understand your client’s requirement in most efficient manner. You can implement the solutions more profoundly in near future. Clients’ management -this billing software come along with additional management features. Your secretary can check the insurance status of your clients before they give them an appointment. This helps you not waste time with fake clients. Availability -You will be able to contact the AdvancedMD helpdesk at any time. This makes it easy to report a problem and get it solved considering the emergencies involved in medical practices. This software is ideal for medical practices of all sizes. It is up to date and will definitely save you money and time. This billing software utilizes the cloud-based technology for its operations. All your data is stored in a cloud so that it remains interlinked. Error detection-CareCloud checks for errors in your records when you submit. Initially, it compares your details with previously entered ones and corrects any new error. Central storage- This tool keeps all data in a central location. You do not, therefore, need to invest in expensive backup files and servers. User-friendliness- The software is simple and easy to navigate through. All you need is to follow simple instructions and you will be good to go. 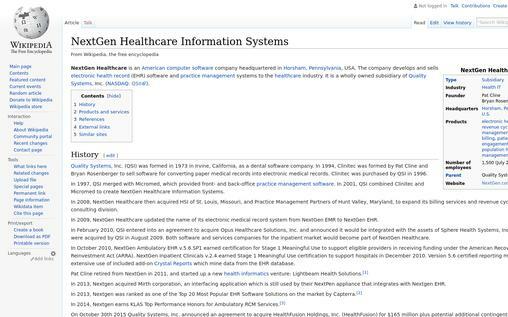 Flexibility- CareCloud allows you to open several tabs while using it. This allows you to view several details without first having to close the software. Care cloud puts all your company’s information in a centralized place. You do not need to create separate databases. What you need is a CareCloud billing software that will gather your data in a one-stop location. This software works most effectively with small and medium-sized businesses. 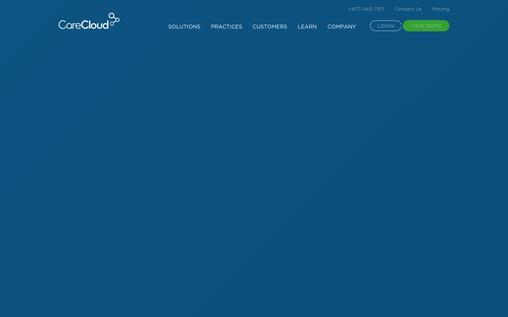 It is cloud-based, which means it can centralize your clients’ details and your company’s information in one place. Eligibility verification- With NueMD billing software, you can track the authenticity of your clients. You will have access to information about their insurance eligibility and insurance claims. Time management-NueMD saves you the time you would spend checking the eligible claims by your clients. Once you enter the details of the client, NueMD compares them with the current database and tells you if the client is eligible or not. NueMD has several software packages. You need to choose the plan that adheres best to your company needs. Kareo has an easy and simple to use interface. It is most effective for medical billing companies without complex practice management activities. Delinquent accounts management- This billing software gives you information of the client accounts that are past due. You do not have to go over the records manually. Diverse medical management practices- Kareo is suitable for several medical practices like family medications, heart-related problems, and many others. Customization of reports- this software enables you to customize clients reports according to your needs and preferences. Kareo is web-based. This means that you do not have to manage the software manually. You will receive updates and suggestions from the software developers. 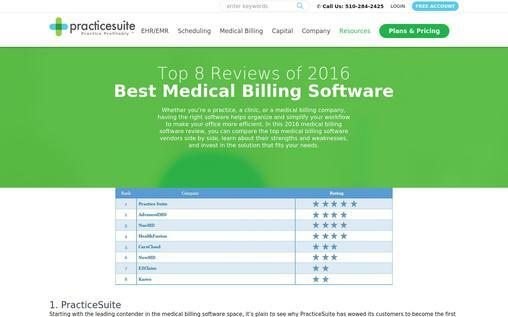 PracticeSuite is the best option for large medical billing needs. It is cloud-based. It has a medical office platform which can be used only as a billing platform or an integrated enterprise-wide service. Complex and effective billing options- PracticeSuite can support over 150 billings and about half the number of specialists. This means that you will never run out of space to add more new clients to your database. Client engagement platform- This software enables you to engage with your clients. You have the chance to hear the client’s requirement most efficiently. 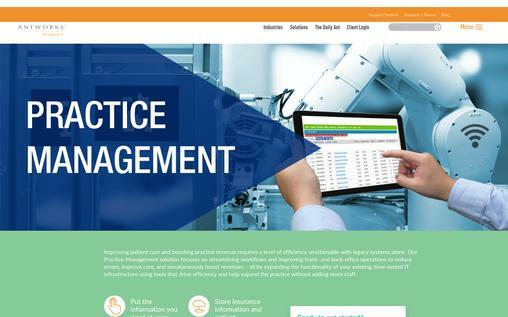 Affordability-PracticeSuite is affordable to many users. The basic simple system is free. Premium rates can be accessed at about $99, which can be upgraded to fit your needs. The best thing with PracticeSuite is that it is very flexible. You have the chance to use the model that suits your billing needs the most. This software is cloud-based and convenient for any billing needs. It has options which help you modify it as your billing needs grow. Convenience-As your business grows, HealthFusion gives you the option of customizing it to match your business needs. Easy access – The software is cloud-based. You can access your records wherever you are without struggling to carry your hard drives with you. Eligibility verification-You never has to worry about serving clients whose insurance period has ended. HealthFusion will take care of that due to its flexibility. 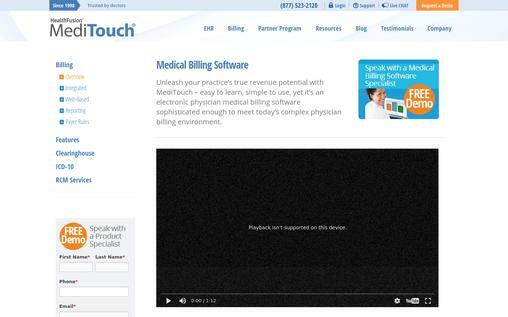 HealthFusion MediTouch will help you save time and money. All you need is to write down the rules you want to be followed. The software will take care of the rest. iSalus Healthcare is a healthcare company. It offers a medical billing system which is very convenient and easy to use. Easy to use- The system is developed by a medical company. It, therefore, has been made by people who understand what medical practices involve. Flexibility in use- There are various models of this software that are available. All you need is to choose the one that fits your needs the most. Easy scheduling – When using this billing software, you will have the details for all appointments available and the clients to be expected. 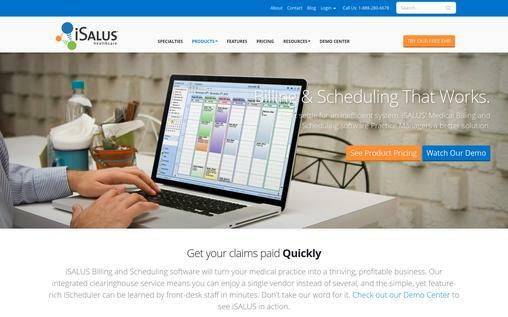 The best thing with iSalus Healthcare system is that it offers training and a user-friendly platform. The system is also customizable to the growing needs of your company. 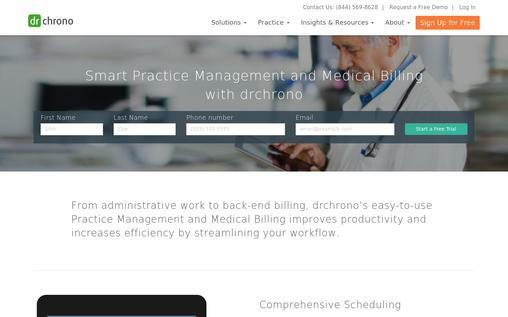 Drchrono EHR is more of a patient care oriented platform. It, however, includes additional features of reminders and patient scheduling activities. Automatic subscriptions- Your clients do not need to keep updating their details and eligibility. Drchrono HER platform will simply help with that. Patient dedicated apps- This platform offers apps that are specifically for the patients to check their details in. When they get to visit your clinic, all they need to do is updated their details with the app. This software is the best if you want to increase your customer relations with your clients. Clients will feel part of your company when using this platform. NextGen medical billing software schedules your tasks such that they will keep running even when you are away. Business integration- You have the chance to review all your staffs’ details and scheduled tasks. You can even reschedule a certain appointment all from the comfort of your desk. Eligibility verification-You needs to stay on the right side of the law. With NextGen billing software, you never need to worry about serving clients who have unsettled insurance programs and bankruptcy issues. NextGen offers an integrated system with automated systems. You will have your scheduled tasks running like usual even when you are not here to manually update them. The reason AntWorks Healthcare is on this list is that of its diversity in services. It has a server-centered and a cloud-based billing system. This gives you the freedom to choose the one you most likely need. Appointment scheduling- The software keeps all your appointments in clear schedules. You will not have clashing appointments when using this software. Medical knowledge database- AntWorks Healthcare software has a pre-installed basic medical database. It, therefore, makes the scheduling easy as it is already customer oriented. AntWorks Healthcare software can be used in laptops and iPads. It’s customizable according to the needs of your business. It also helps you save time by avoiding time-consuming manual schedules. Medical billing is a very important medical practice. You need to have well defined and scheduled tasks. You also need to keep your clients’ information updated and available. Though the above list does not exhaust all the available medical billing software, the provided ones are among the best.